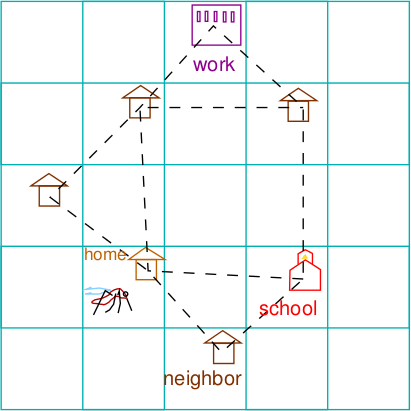 We developed a computer model of dengue transmission. It can be used to simulate the effects of mass vaccination. The model is described in our paper published in PLoS Neglected Tropical Diseases (doi:10.1371/journal.pntd.0001876) after a protracted review process. I hope you like the paper more than Reviewer #3 did. The model uses a synthetic population representing a region in Ratchaburi, Thailand. Data from GRUMP was used for population density at a 1km^2 resolution and census data from Thailand's National Statistical Office as distributed by IPUMS for ages and household structures. The model is written in C++ and has only a command-line interface. See the README file in the zip archive for rudimentary instructions. If you are not a C++ programmer and try to compile and run the model, you will hate me. It has been compiled and run on Linux machines and requires the GNU Scientific Library for random number generation. The code is open source and released under the GPLv3, which basically means that you are free to use the code as you wish, but if you choose to distribute work that incorporates any of this code, you must release your source code. And give me credit if you use my code or data. Be nice.